How do you build the business case for investing in an employee engagement platform when the majority of employees work offline? Read our latest case study to find out out how the team PYBAR Mining Services did just that. Every now and again I meet someone who is so passionate about employee engagement that they’re overflowing with useful information – information I can’t wait to share with as many people as possible after our conversation! One of those people is Cara Jordan, HR Advisor at PYBAR Mining Services. 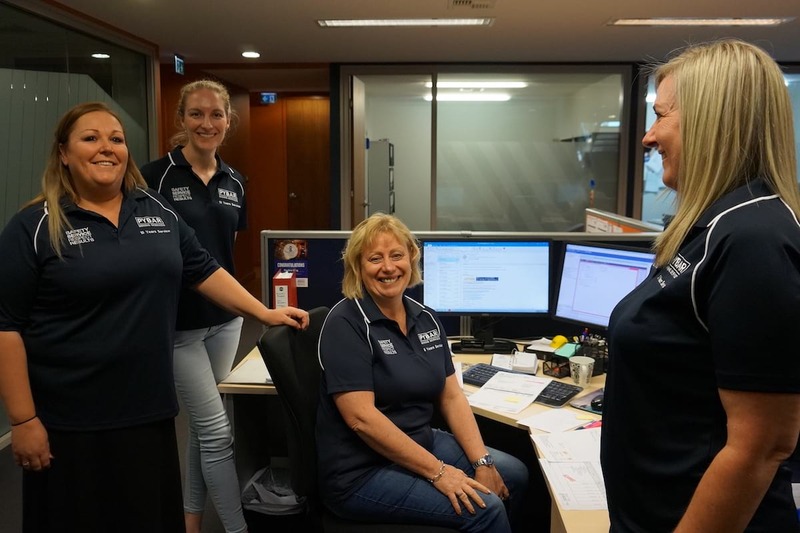 With over 800 employees mostly working offline in remote, underground mines around Australia, keeping people engaged and informed is no easy feat for PYBAR’s HR team. Cara joined us recently on a live webinar about employee recognition and reward, sharing how her organisation’s approach to employee engagement has evolved over her 8 years at the company. Cara didn’t have time to address all the questions that were submitted by our listeners live, but she’s generously taken the time to answer them at length in a follow-up interview (see what I mean about overflowing with information? What a true HR Hero!). 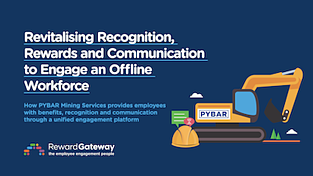 Here are some of the insights Cara has shared after successfully using an employee engagement platform to communicate with and recognise a predominantly blue-collar and offline workforce, and provide instant access to benefits and rewards at the same time. Q: Did you have difficulties getting managers/ supervisors or the senior management team on board with putting a recognition program in place? How did you achieve buy-in from leadership? Present your ideas in a way that demonstrates why it’s important for your people and the return or impact this has on the business - will the initiative create a competitive advantage, or will that help you attract and retain staff and lower recruitment and hiring costs? When we initially introduced our service recognition program (which was offline), it was a very new concept. 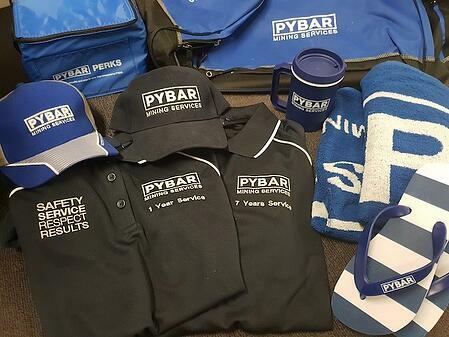 We started with the simple idea that providing employees with a PYBAR t-shirt on their service anniversary would help get our logo out there, which we knew the management team would like. After receiving our employee survey results we presented a business case to demonstrate why our staff wanted recognition and why this first step would be effective; this was something small that addressed the immediate need but still kept the cost low. After the first few months our employees really did the rest for us – they were wearing them, and management was noticing, so we had management’s support to then build on that program. When the time came to suggest using an online platform to run this program – and other things too – we had to justify why it was needed. We looked at our competitors and what they were doing and worked out what we wanted to do to be better. 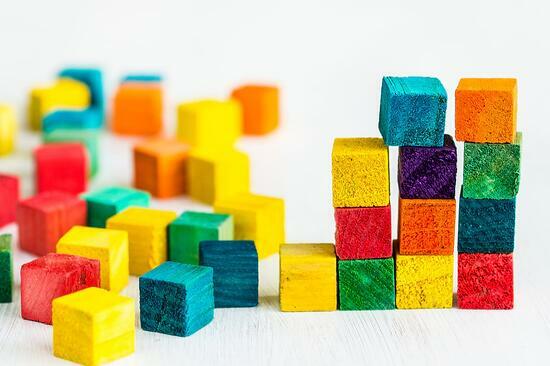 We have a great Senior Management team that is always willing to try something new and understand the need for growth and innovation, so as long they knew we could maintain it, they were on board. TIP: You should know your Senior Management team and think about what it might take to get them across the line no matter how small the win is – something is better than nothing! It’s also a good idea to find someone on the team who’s likely to be supportive and get them to back you when you present it to the rest of the leaders. Q: You mentioned using feedback from employees to help build your business case – how did you do this, and what type of questions did you ask your people? Cara: Each year we change the questions in our staff survey slightly to target what is happening in our business and/or market, but we maintain the same themes so we don’t lose historic trend data. Break our survey down into segments or themes such as engagement, working conditions, job satisfaction, leadership, communication. TIP: Try not to ask too many questions around things your business or industry cannot change and also provide a chance for employees to leave comments anonymously. Q: Did you have to allocate a big budget for your employee benefits? Cara: The biggest benefit we offer employees on our platform is through Reward Gateway’s employee benefits platform. There are around 400 retailers that offer discounts and cash back incentives to employees that use PYBAR Perks - I was actually very surprised about the amount of everyday retailers on there that I know our people are using regularly; Coles, Woolworths, Virgin, Wotif, JB HI-Fi, BCF are all places our people shop. As a business, we do not financially benefit from any purchase on this system, we simply buy access to the platform and build it our way with our branding and material. On top of that, we offer all our Employee of the Month and Employee of the Year award winners what we call “Perks Credit”, which is essentially a financial credit that they get in their account that they can use on the platform. We also have a photo competition running now and the quarterly winner also receives Perks Credit. It’s a great way to get people to log on and actively stay logged on. TIP: You don’t need to have a big budget to make these programs a success - you can make it work for your size business. What you do outside the employee discounts and regular rewards is all up to how creative you want to be. Q: What do you think has more impact - monetary or non-monetary rewards? Do you think employees expect monetary rewards? Does your team come up with the ideas for the reward products or is this offered on the platform? Cara: I’m sure there is a huge amount of research out there on what employees want from employers, but in my honest opinion whilst monetary rewards are a good incentive, recognition is what is really important and will help drive a positive culture long term. Retailer discounts and cash-backs – we provide exclusive discounts to around 400 different retailers that people can access everyday. Internal rewards that PYBAR issue and pay for on top of the everyday discounts, which provides credit for monthly, annual and photo competition winners. 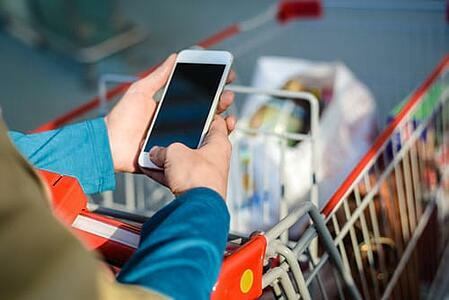 The monetary value is issued through the same platform. Our team thinks of and plans PYBAR’s engagement and service programs. We have a unique HR team and although sometimes our ideas are bold (that’s why we have a manager to reign us in! ), they all have a personal touch and we really like thinking of new ideas. I honestly think that’s why they have been so successful because we love we what we do. TIP: Give employees a mix of everyday recognition and perks (like exclusive discounts) alongside big ticket or ‘special’ rewards. This makes sure everyone gets something no matter what area they work in, and it gives them something exciting to work towards too. Q: How do you tackle the issue of having a low or restricted recognition budget? Use an online SMS system to send Birthday and Service Anniversary texts for next to nothing. Our employees often commented about that initiative as they were personalised, and it made them feel recognised and noticed. Alternatively, use the dedicated HR mobile phone/SIM if an online SMS system isn’t practical for you. Invest in good design when it comes to communications material like nomination booklets, posters or newsletters (use someone local where you can!) and print in-house. The small details can show you care. Set up an email address to receive nominations for monthly or annual rewards – this is simple and easy. Provide printed nomination slips and boxes at each project site so your people have the option to remain anonymous. If you’re strapped for cash, look for the alternative, low-cost rewards; give them an afternoon off if that is something that suits your business. TIP: I want to emphasise not worrying so much about the reward and concentrating instead on the recognition. Take photos of your employees who receive recognition, do a little write up about them and share it via email, your newsletter, or on your social media page. It’s a great way for them to be recognised and it’s free. Do you have any tried and tested tips when it comes to building a business case for employee engagement or do you know a HR Hero who would be willing to share theirs? Get in touch or join us on LinkedIn and get involved in the discussion!